Evening painting classes are something that are rising in popularity. Considering the fact that, as an art, painting is fairly accessible to the general consensus. You can get hold of the materials in any good art shop, and there is an abundance of painting archives, inspiration and information everywhere for you to get started. Everyone has the vision of themselves at an easel covered in paint, wielding a paint brush in front of a beautiful canvas of your imagination. However, the reality is that painting, much like any other creative past time, takes some learning before you can run with it and create masterpieces. Painting can be a gloriously rewarding past time, but a little investment into learning how to do it properly, will not just give you a head start in your painting journey. By attending an evening class, taught by a professional art tutor, or a painter themselves, you will find you not only gain a mentor that you can contact regularly, but you will gain knowledge of your local area. By attending an evening painting class in your area, rather than sourcing an online tutorial, you will gain knowledge on where to buy the best materials, not just what they are. You'll learn the best spots for painting in the park, not just how to paint beautiful landscapes. There's a benefit in going to an evening painting class in that it is your first foot in the door of the community. A creative past time can not only be rewarding for your mental health, but it is also has the possibility to become a passion of yours. It's only fair to give it the best chance you can when first starting out. PopUp Painting was founded with the mission of inspiring the inner artist in everyone, away from the gallery and classroom, making it easily accessible. They work with a number of different artists, all of whom create a relaxed environment where you can let loose your creativity with a glass of wine in one hand and a paint brush in the other! Each workshop focuses on a different painting by one of the greats. Choose one that inspires you, from Van Gogh’s Starry Night to Banksy’s Girl With A Balloon, and let those creative juices run wild! This 11 week course is suitable for beginners but more experienced painters and drawers are welcome to join. 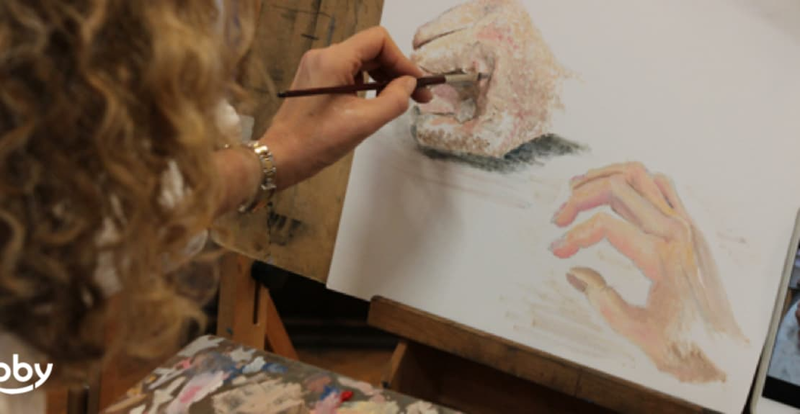 This course will build your confidence and skill in drawing and painting from observation. We will look at the building blocks of drawing, exploring line, tone and texture. We will learn how to use a view finder and discuss ideas behind composition. We will experiment with pencils and charcoal and progress to basic oil painting: monochrome, colour theory and mixing and develop further with individual project. We will draw and paint mainly from a still life. in addition, we will have two sessions with a life model. We will learn about painting materials, medium and various surfaces to paint on and how to prepare them. By the end of the course you will be able to start on your individual projects, set yourself a still life and start to paint in your own time and space.